There are more than 60 different species of conch in the Caribbean. The queen conch,� Lobatus gigas, originally known as� Strombus gigas, is the most common and economically important in the Caribbean. The Queen Conch is herbivorous, leaving in seagrass beds. Its habitat varies depending on its development stage. The adult animal has a very large shell that can reach 40 cm. It’s a heavy and solid one, with a large outer lip with a colorful opening. The Strombus Gigas reach the adult age at 4 years old and can live until 20 years old. They dwell in warm and shallow waters, eating seagrass. The Queen conch shell hosts a lot of different living organisms. Slipper snails, porcelain crabs, and cardinalfish live on the shell. This is a crucial factor regarding the formation of Conch Pearls. We will see that in another post. 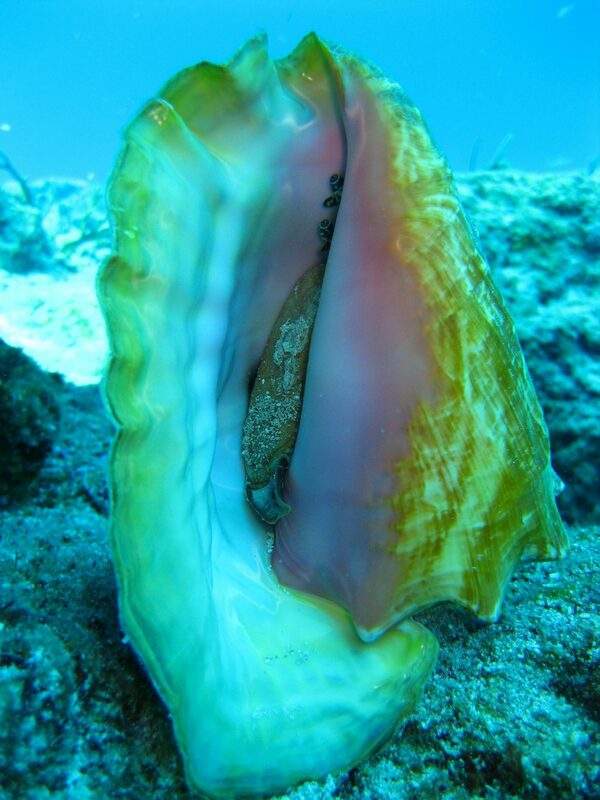 In a nutshell, the Conch Pearl is created by the reaction of the Strombus Gigas to a tiny hole drilled by a sea snail. The Strombus Gigas has a large foot allowing the gastropod to move toward the bottom of the ocean. The Queen Conch fist fixes the posterior part of the foot in the sand, then drag the anterior part further, flexing the whole foot to create impulsion. The gastropod is a very good climber, changing depth depending on the temperature of the water and the presence of seagrass.